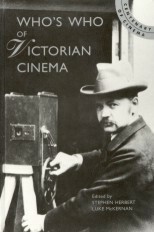 The cinema arrived in the Czech lands of the Austro-Hungarian empire on 15 July 1896 when the Lumière Cinématographe was demonstrated by one Goldschmidt, working for the Lumière concessionary Eugène Dupont, at the Casino, Karlovy Vary. Numerous travelling showmen visited Karlovy Vary and Prague thereafter with film projectors in tow throughout 1896, but it was two years later that the first native Czech films were made. Jan Krizenecky was an architectural student and a keen photographer who had visited Paris and, with colleague Josef Pokorny, purchased a Cinématographe. In June 1898 he first exhibited at the Architecture and Engineering Exhibition in Prague some short actualities and three short comic films under the banner of Cesky Kinematograf (Czech Kinematograph), thus making cinema part of the growing demand for Czechs to be recognised as a nation. The films were Dostavencicko Ve Mlynici (Appointment at the Mill), Plac a Smich (Tears and Laughter) and Vystavni Parkar a Lepic Plakatu (The Billsticker and the Sausage Vendor), and all three starred popular comic café performer and postcard publisher Josef Svab-Malostransky, who went on to have a very successful film career lasting until his death in 1932. Following these first experiments Krizenecky filmed various topical events with his modified Cinématographe, notably the Sokol sports festival in Prague in 1901, taken from a high tower to capture the full effect of the spectacular gymnastic display, an event that he would return to annually. He continued to write and direct films over the next decade, eventually working for Kinofa, the first Czech film company. 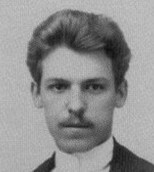 Leaving the world of film in 1910, he went on to work for the Prague city archive.